Black grey waves design. Tjanting technique. Fuji / Viscose Rayon Material. Malaysian batik. 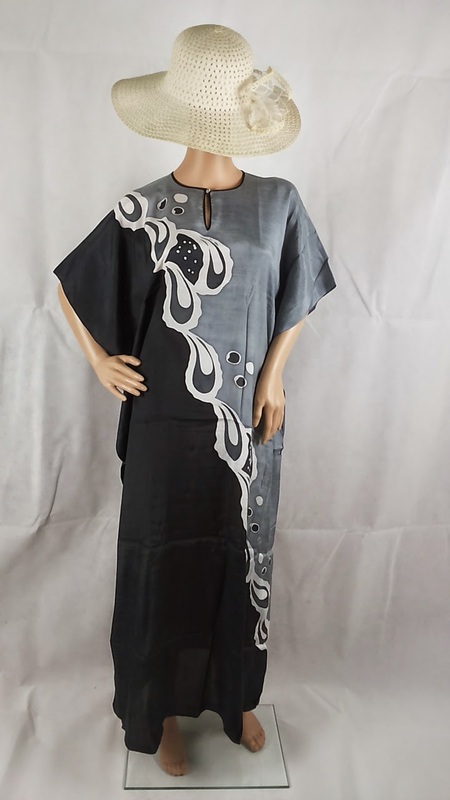 Kaftans - perfect for lounging at home and about. One size fits most. Care: As all handmade batik product, dye may bleed on first wash. Advisable to wash and rinse on its own a few time until access dye is removed. Machine wash possible. Advisable manual drying.